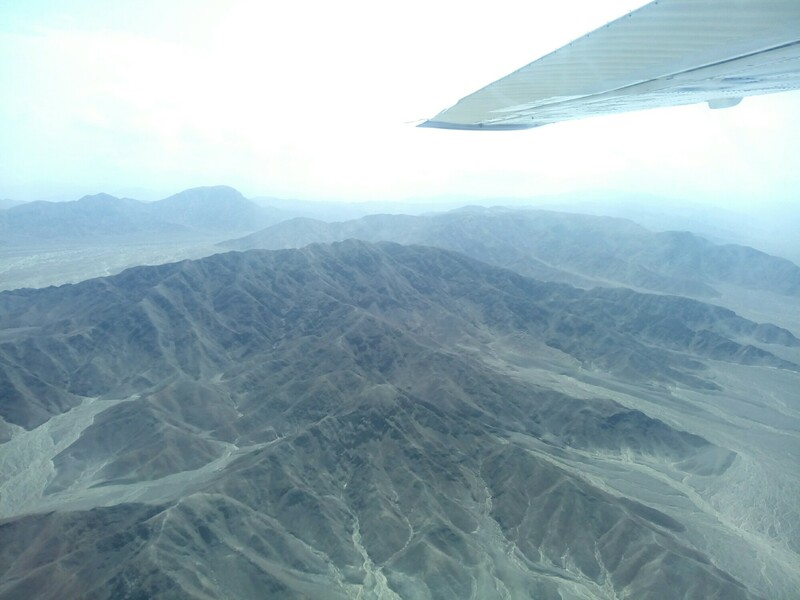 Up early on Friday and 5 of us were taken to the small Nazca airport ready for our much-anticipated flight to see the lines. Unfortunately the hotel breakfast was pretty wanting and covered in flies but in hindsight it was a very good thing we couldn’t eat much (or at all) because to say the plane ride was rough would be an understatement! I’ve never been in a tiny plane like that before so was very excited for that fact alone. It was so small that they had to weigh us before we went in to distribute our weight (the guy operating the scales also asked my age and if I was married or single. Was wondering the relevance of that then found out he didn’t ask anyone else haha! Clearly I was working 8am chic). We didn’t wait long before being escorted to our plane, then time for take-off! 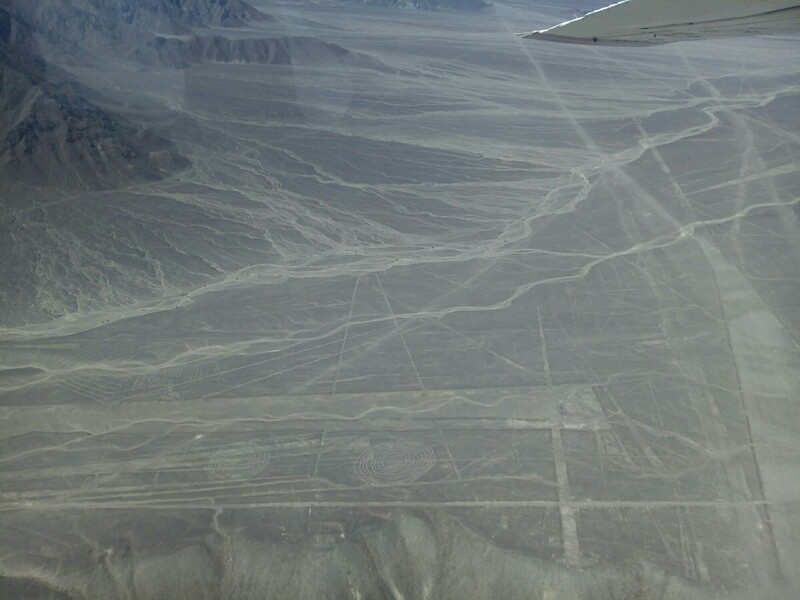 Just to see the plains of Nazca (even disregarding the lines) was stunning. The landscape here is so different to anything I’ve seen in Europe. But the real reason we were in the air was to see the lines and images, of course! I got some great pics on my camera but these phone ones will do for now. We saw 12 images in total but as you can see the entire area is covered in mysterious lines interweaving and seemingly forming paths between the images so you really could see something everywhere you looked. As I mentioned in my last post, I love to see remnants of ancient cultures – but I can’t quite put into words the feeling of seeing these perfectly drawn out, perfectly preserved pictures from 1500 years ago. There’s something so mysterious about them that I’m starting to see why so many theories surrounding their origins involve life from outside our planet! I felt 12 was a good overview and we saw famous figures like the hummingbird, condor and monkey. The pilot would swoop round each one so that both sides of the plane were able to see. That’s where the motion sickness came in!! Nevertheless I’d 100% recommend doing the flight as it enabled a completely different sense of the lines than from the tower. It is pricey but I suppose you only get one chance to do these things. There are quite a few ‘airlines’ offering them at all times of day. 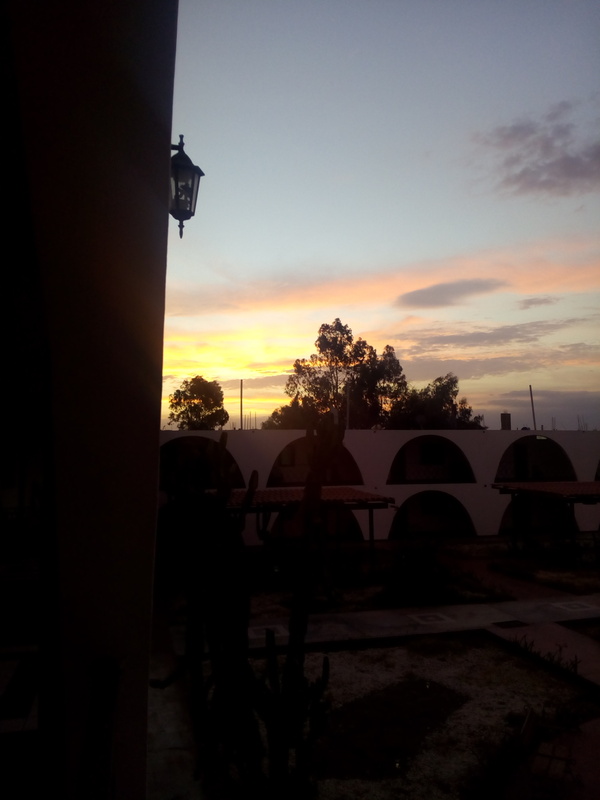 The best thing to do on a budget would be to simply find one of the airline offices in Nazca town itself and book for the next day – that would have been significantly cheaper than organising in advance like we did, but oh well! After the flight we had a free afternoon and everyone decided to stay by the pool at our hotel, San Marcelo. It was great to relax and get some sun but also a strategic decision since our hotel was ‘a bit out of the way’. Read: 2km down a narrow, rocky and rural road passing through the more shanty-like part of town and then agricultural fields, whose irrigation systems had flooded the track in parts! Actually, we had gone out for dinner the night before and even had some trouble finding taxi drivers who would take us there. It was worth staying there though, for the pool, but also for the ceremonial lunch prepared in the traditional ‘bachamama’ style (need to check this spelling!). Meat is marinaded and wrapped then placed in a dug out pit in the ground where there are hot stones. They also put in packages of veg, sweet potatoes, corn, potatoes etc, plus tamales, which are kind of like a corn based meatloaf style food also wrapped in packages. Then they cover it all with more stones and the dug out earth again, and the heat from the stones cooks the food! When it was ready we had a little ceremony thanking ‘Bachamama’ (Quechua for Mother Earth) and dug it out. 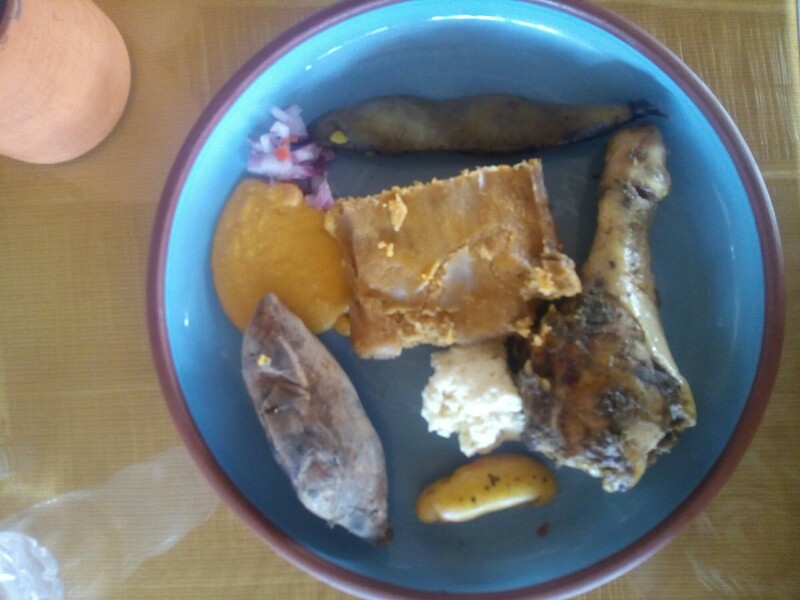 It was really good, especially the tamales, and we drank chicha (a fermented corn drink that is sort of like blackcurrant) as an accompaniment. While the food was great unfortunately I think having a lot of rich food over a few days (both lunch and dinner) or maybe eating something that was in contact with the water disagreed with me and I had a ‘travel tummy’ shall we say. With typical luck this started the day we were taking a 12 hour night bus. Not so comfortable a journey as I’d anticipated after all! But I managed to get some sleep and woke up to a misty but bright Arequipa – the first stop in our gradual ascent into the Andes.